Does anyone know when the latest major hurricane was ever recorded? Fortunately a very small hurricane core of winds extending only 10 miles out. Still very impressive for late november though. What a year with Hermine and Matthew. I see the seasonal storm forecast was right on the money this year. 12Z working best track up to 95 kt. Incredible for this time of the year, too bad the recon already ended its mission this morning. weathaguyry wrote: Does anyone know when the latest major hurricane was ever recorded? I may stand to be corrected , but I believe for the North Atlantic basin, Lenny still is the most intense latest tropical cyclone to have formed from November 13-23, 1999. Lenny reached 933 mb with 155 mph at his peak intensity. EDIT:: I checked and forgot the 1932 November hurricane which formed and impacted Cuba. That storm is the most intense late season tropical cyclone ever on record in the North Atlantic basin. Lenny is the second strongest ever recorded for so late into the season. Last edited by northjaxpro on Thu Nov 24, 2016 8:27 am, edited 4 times in total. Hurricane Kate in 1985 holds the record for the latest major hurricane that had formed in a season. It held the record for category 2 hurricane in the past as well, but this has just been broken by Hurricane Otto. BTW, a quick mention that models are picking up on the potential of possibly developing Paula out in the Central Atlantic within the next ten days . northjaxpro wrote: I may stand to be corrected , but I believe for the North Atlantic basin, Lenny still is the most intense latest tropical cyclone to have formed from November 13-23, 1999. Lenny reached 933 mb with 155 mph at his peak intensity. 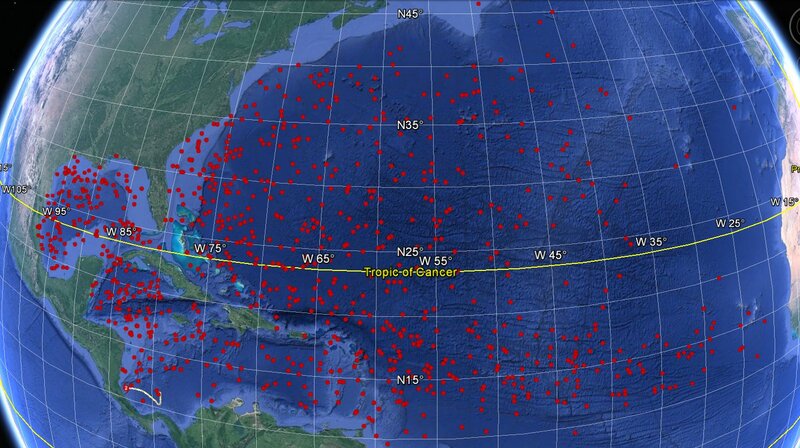 Somebody mentioned earlier that this is the farthest South though. Yes you are right. It also will be not only the farthest south tropical cyclone to have ever developed, but soon to be major tropical cyclone to form in that region as well. 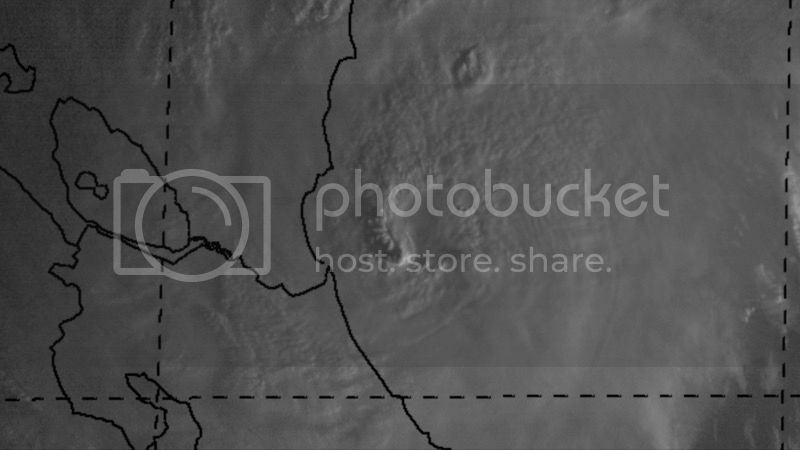 Also, the eye is now beginining to clear out now on satelitte imagery with Otto. Otto likely will be Cat 3 at landfall. Incredible to see a major hurricane here on Thanksgiving Day. Prayers to all down in Costa Rica and Nicaragua which will be impacted heavily by Otto. Based on Otto's forecast track and intensity, the hurricane is likely to become the southernmost landfalling hurricane in Central America according to NHC best track data in the Atlantic (since 1851) and East Pacific (since 1949). During those periods, no hurricane has ever made landfall in either Panama or Costa Rica. 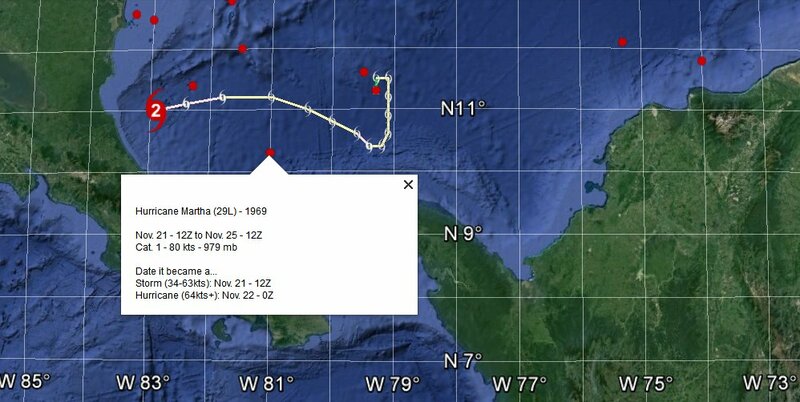 The southernmost landfalling hurricane in Central America during that period is Atlantic Hurricane Irene in 1971 (https://en.wikipedia.org/wiki/Hurricane ... 0%93Olivia). It made landfall with 75mph winds at a latitude approximately 20 nautical miles north of the latitude Otto is expected to make landfall at later today. northjaxpro wrote: Otto likely will be Cat 3 at landfall. Incredible to see a major hurricane here on Thanksgiving Day. Prayers to all down in Costa Rica and Nicaragua which will be impacted heavily by Otto. A lot of Americans there too who may be (or may have planned on) doing the Turkey dinner thing. My oh my, I wish we had Recon in there right now. What a shame they are not down in there at this time that I can determine. Otto in my opinion is rapidly intensifying. The eye has cleared out as well and this has really become a powerful tropical cyclone. No doubt in my mind Otto will be a Cat 3 by landfall later this evening. northjaxpro wrote: It also will be not only the farthest south tropical cyclone to have ever developed, but soon to be major tropical cyclone to form in that region as well. That point at the start of Otto is not Otto but a storm in 1906. You can see that Otto is second southernmost development of a hurricane in the SW Carib. If you include the point at which something developed into a depression, including all tropical cyclones, there is even more south. 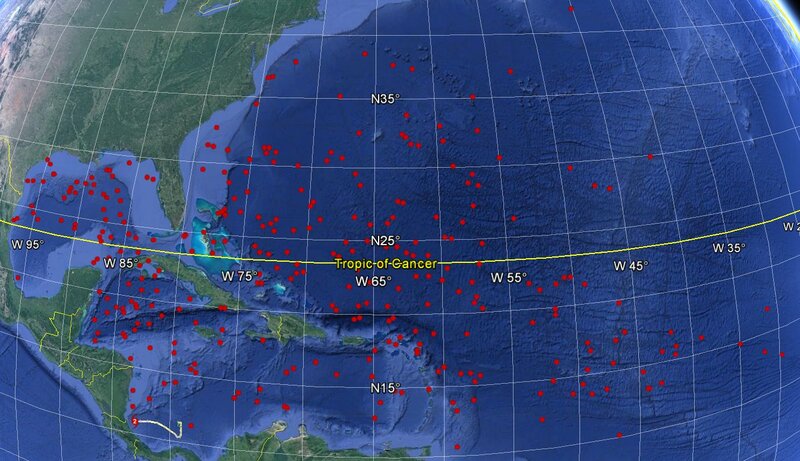 So it would be the southernmost in the SW Carib, and tracking to be third southernmost basin wide. That was awesome information and graphics. This is why you guys on here are the best!! Always learn new information on this great site! There is no doubt the RI is ongoing and I agree Otto is on the way to a CAT 3 if not already there and only about 20 miles offshore. Incredible VIS images. Will Otto's EPAC ACE be counted towards the ATL or the EPAC?